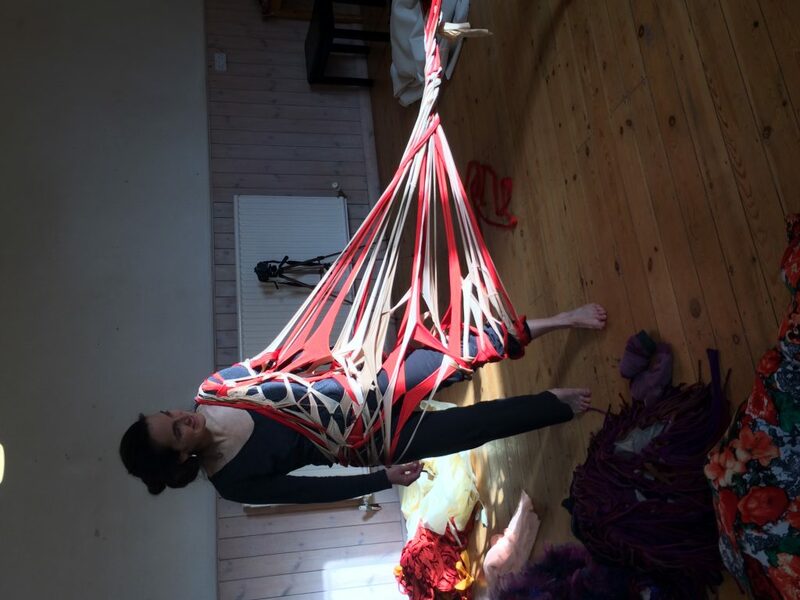 Visual artist/costume designer Charlotte Østergaard (Denmark) and somatic dance/theatre artist Sally E. Dean (USA/UK) are behind the international interdisciplinary collaborative project called Betwixt. 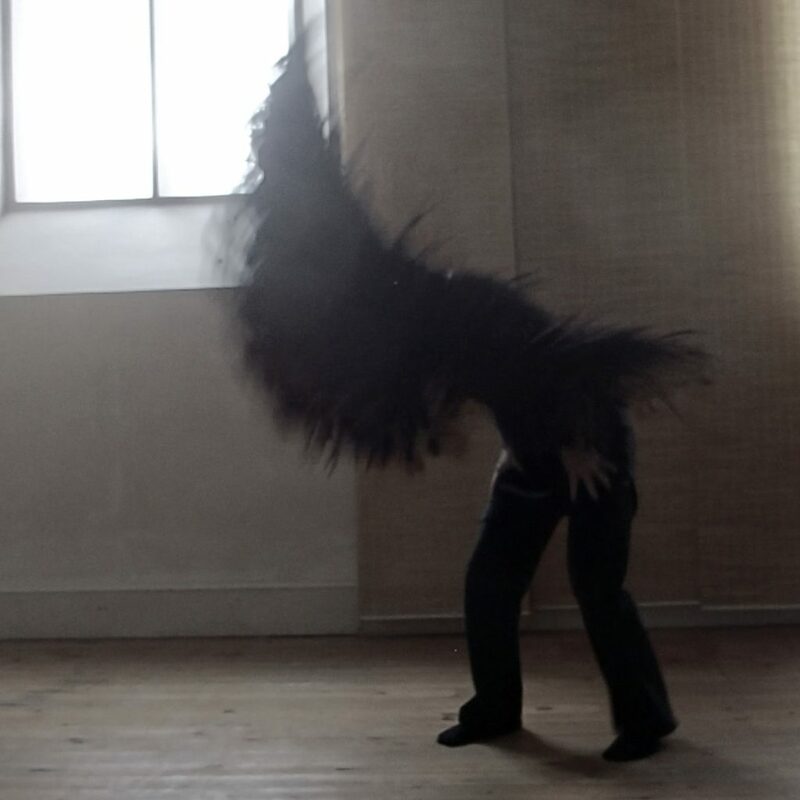 Together they are looking to create an innovative choreographic work where the costume and choreographic material co-create both the movement and the costume itself. This was the focus of their time at Hawkwood in January 2018. “Thank you so much for an incredible 5 days in artistic heaven in Hawkwood. 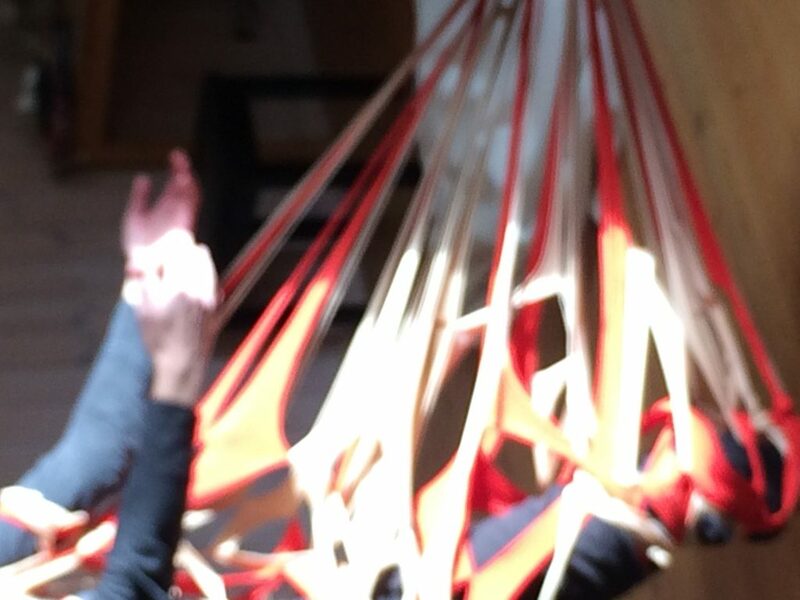 It has been such a productive and creative time that will continue to build and grow even after the residency. There are very few places that artists can come to and receive support for the beginning stages of artistic work – and Hawkwood is truly special in this way. 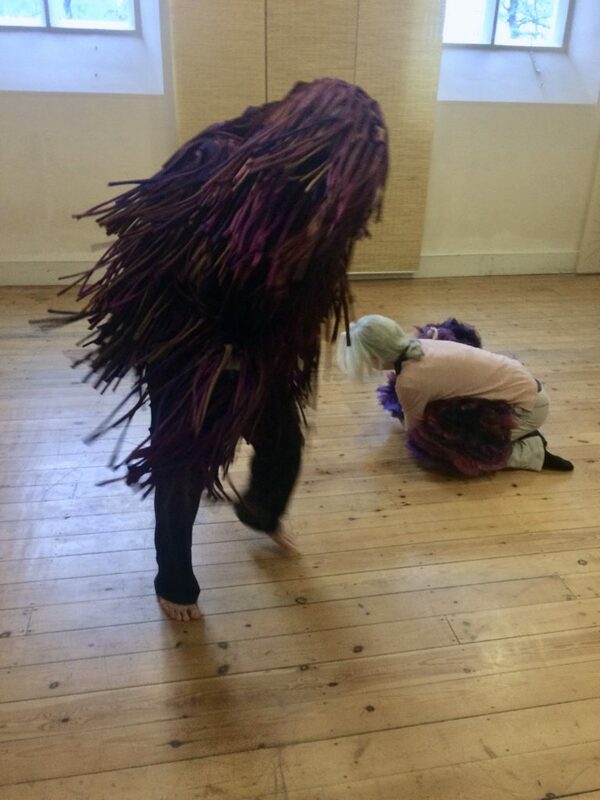 Also, the Hawkwood environment (to include the generosity of the people, its beautiful location and the historic cosy house/studio) allowed us as artists to dig deeper into our work/process that we would not have been able to do at home or in our traditional contexts.